NOTE: Whilst metaphysical properties are listed it is not the intention of the author to advise people to replace Professional medical treatments or diagnosis. Crystals are suggested for use to work cohesively with other treatments and whilst the properties are listed - the author can NOT state categorically that this information is based on any reputable scientific evidence as effective treatments for any ailments. This is a high vibration energy crystal of the heart and crown chakra. It is said to radiate pure loving energy that calms the spirit and relaxes the mind. It aids in the progress of spiritual tranquillity and enlightenment. Also considered a karmic cleanser, and assists in the acceptance of change. Improves outlook and relieves stress. May assist with lucid dreaming. Considered by many to be a stone of prophecy. Believed to calm the troubled mind and bring wisdom to the wearer. It improves memory and intelligence, and said to protect lovers from unfaithfulness. Used by healers to help heal the heart and eye sight. May offer protection for women and unborn children from complications in childbirth and to prevent disease and infection. Said to assist with epilepsy, heart disorders, high blood pressure, cancer, asthma and skin disorders. .
Stabiliesa and cleanses the aura, and said to neutralise and absorb stress and negative energies. May improve decision making, concentration and self confidence. Believed to enhance connections to faeries and earth elementals and nature spirits. Also used to assist in the facilitation of connecting to Akashic records. Said to repair DNA damage and regenerates cells, teeth and bones. Useful for sinus, colds and flus. Pain relief, blemishes, boost libido and ease chronic insomnia and more. Properties of garnet include assisting with focus and direction, for feelings of safety, security and abundance. It may assist with bereavement for taking perosnal time. When worn with almandine, it restores spirit and opens the higher mind initiating compassion and charity. Red garnet may also assist with stamina , and strength, and stimulate metabolism. Said to assist with treating disorders and ddesase in the pancreas, liver and immune system and blood related issues. May be helpful in treating disorders of the tests and ovaries and increase libido and fertility in both sexes. Apatite is said to assist with regeneration of the physical body, and helps in the healing process of trauma..Also useful for heart conditions, and respiratory problems such as asthma. A calming stone that promotes mental and spiritual clarity as well as enhancing imagination. Fosters connection to the earth, and promotes growth in plants. May be effective a s treatment for depression and anxiety by assisting to build on hope. Often used in meditation to assist and alleviate stress or tension. Also believed to bring luck and prosperity to the holder. It is also said to be useful in the treatment of heart conditions an fertility issues. Believed to boost the energy of the healer and the receiver during a healing session and prevent “draining” or fatigue afterwards. Also regarded as a stone of protection and intellect. Enchances logic, analysis, mental stability, and memory. Balances yin/yang energies and assists in aligning the chakras. May assist with psychic development. Instils feelings of peace and harmony and a more positive life outlook. May be used as a “filter” around electronic devices such as computers. May assist with promoting fertility in both men and women, with benefits to the endocrine system. Is considered a “miracle worker”. Hematite is a very grounding stone and good to put near the bed of a child (or under their pillow) if they are having nightmares or sleepwalk. Its uses include for self confidence, will power and courage. It embodies both masculine and feminine energies. Promoting good health on a Mind body spirit level. It is said to assess with healthy red cell production and for the kidneys and tissue regeneration, and anaemia. It is also said to assist with anxiety. Attributed to have highest vibrational properties and to facilitate astral travelling and reaching the higher spiritual plains. Said to magnify the influence of other crystals they are used with. Assists with the stabilisation of finances. Also said to be exceptional in their ability to fight pain an virtually eliminate it withhin three to four minutes. A powerful purifier, and used by healers with selenite to open up third eye and psychic abilities. May prevent burn out and physical exhaustion and stimulate the bodies immune defences, correct eyesight and much more. 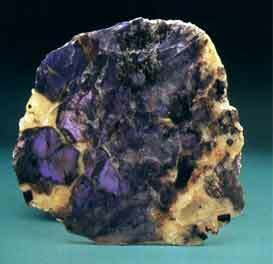 Iolite assists to break through psychic barriers and to open the wearer to their psychic ability. Helpful for the spiritual seeker and helps to balance masculine and feminine energies. Assists with financial problems and getting out of debt. May be beneficial for alcoholics and substance abusers. Properties are also said to be beneficial for throat conditions, varicose veins, blisters, cholesterol, liver, malaria, detoxification an for reducing fever. Absorbs and purifies. Draws out limiting fears and behaviour patterns. Assists in the “survival instinct” and base protection needs. Used often as a protection amulet for safe travel. May be beneficial for sufferers from deep depression, by assisting to “lift burdens”. Said to be useful for arthritis, colds and flus and headaches. Also known as a protector for the afterlife. A stone of protection and for healing grief. It helps to build bridges and stronger connections (or new ones where they previously didn't exist). It transfers or clears negative energy and emotions very quickly. Attributed to carry properties for increased telepathy, emotional understanding and communication skills. Aligns chakras and assists when dealing with difficult people. Relieves and removes stresses within yourself. Assists with deep introspection and self awareness, to gain a better outlook on life. Labradorite is a high vibrational crystal that assists with protection and also communication on all levels. Carries the properties of enhancing telepathic communication with those around us. Said to bring courage to the wearer or owner, and provides enlightenment in regard to the mysteries of the universe. Raises spirits of all who come in contact with and good to keep in a pocket when in stressful situations. Lapis Lazuli is a stone of inner vision and honest communication. By connecting and stimulating the Third Eye and Throat chakras, it facilitates clear and truthful expression, while expanding one's awareness of the inner and outer self. Meditation with Lapis promotes clarity in the mind and strengthens one's connection between the physical and celestial planes. It also assists in developing further comprehension of dream counsel and spiritual guidance in altered states. A gentle stone of communication that exudes calmness and serenity. It is beneficial for mediation, and said to assist the user to facilitate communication with beings from other realms. It is renowned with assisting in the process of overcoming fear. Pregnant women enjoy it for assisting in a stress free prgenancy, easier labour and lower likelihood of post natal depression. It resonates with the throat chakra softening verbal expression and assisting to express in a more loving and caring manner. Some say that it is useful for healing past life traumas, and for searching for their soulmate. May be beneficial for sufferers of bipolar disorder, and to releve stress, high blood pressure, conditions of the throat and cartiliage, and to fight infections. Beneficial for psoriasis and eczma. Useful for preventing nightmares,and relieving stress. Path of peaceful connections and increased awareness. Beneficial for extreme anxiety. Opens the art chakra, third eye and crown chakra. Calms emotional states and brings peace of mind. Helps to open people to see the beauty of life. Clears blocked energies and chakras. Clears redundant messages and voices from our past that lock us into patterns and behaviours of limitation. Also said to assist in giving access to the Akashic records. A stone of transformation and protection from negative energies and pollution. Suggested to keep near televisions and microwaves or computers in the workplace as a guard against negativity and electromagnetic pollution. Promotes clear thinking and focus and preventing of accidents. Travel protector. Emits healing energies for women, such as menstrual cycle and symptoms such as cramps. Has a wide range of properties that include the sexual organs and the heart, and nervous disorders. Mookaite is said to strengthen our connection to the earth and the life force of our bodies. It is said to increase personal power and will power, along with the acceptance of new experiences and awakening our gut instinct or “animal instinct”. Said to increase self confidence and motivate people with tendencies to procrastinate. Considered a stone of clarity. Said to be useful in the treatment of diabetes and deteriorating organ tissue. Claimed to reduce strees and soothe the digestive system. Fertiltiy and reproduction issues are said to be removed through working with this crystal. Moonstone is a mysterious stone that belongs to the Feldspar family of minerals and is most commonly associated with intuition and self-discovery. This stone brings awareness to the different cycles or phases in life, much like the phases of our moon. It reminds us that with every cycle we grow and learn from our experiences, encouraging us to be patient and to take appropriate action when the time is right. Morganite embodies innocence and newness and there fore is associated with new beginnings and fresh starts. Properties attributed to this crystal is the lifting of burdens and the healing of old wounds of the heart. Restores feelings of happiness and joy, and shifting past old emotional pain and suffering. Also said to assist in increasing your self awareness, wisdom and spiritual connection. Also said to be a magnet for love. It is said to increase the love that you feel towards those that you care about (and your own levels of self love and self acceptance). Not a true agate as it is not banded, however this stone is a member of the chalcedony family. Moss Agate stimulates emotional growth and awareness. 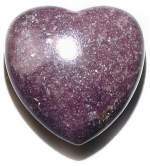 It is a root chakra stone that is of particular use for those who are having attention span issues or memory loss. Moss Agate promotes stability and balance in life and facilitates patience as well. No part of the content of this page can be shared with anyone without the express permission of the author. Content is currently being prepared for publish as a book.